I have been going to San Diego Comic-Con for the last 10 years, and in that time it has changed a lot. For those of you who are not aware, San Diego Comic-Con is a convention celebrating all things nerdy. 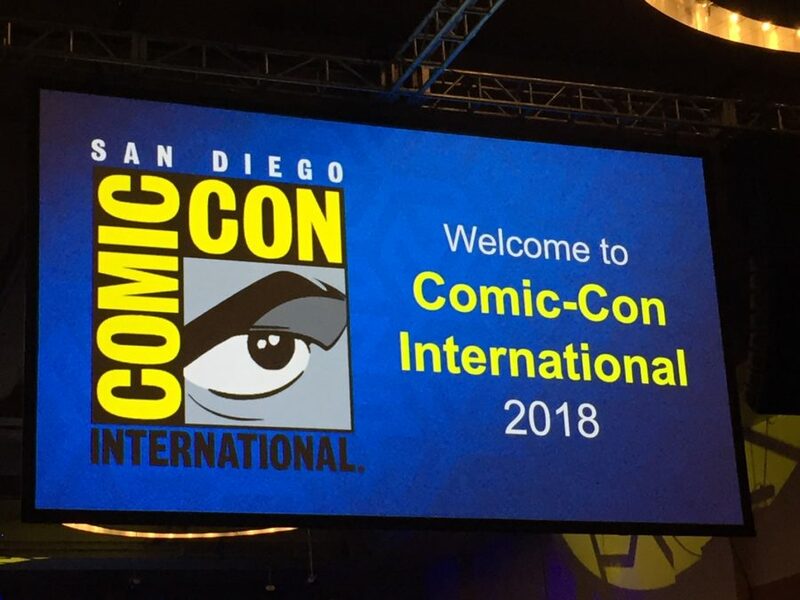 If you watched any of the new DC movie trailers or are excited that “Star Wars: The Clone Wars” is coming back, then you have experienced some of the reveals that happened at this year’s Comic-Con. It has always been a showcase of geeky coming attractions, but its main change over the past decade has been in how hectic it feels. The experience of Comic-Con was always like this, and this year was no exception — if anything, it’s grown. The front of the convention center is usually crowded and tight, as people are lined up to try to get through the few doors they can use to enter the convention center. Then, depending on what you want to do, you head up to the panel rooms or out onto the exhibition hall floor. You can expect to spend your day going to panels to hear people from a “property” — a comic or movie or anything in between — talk, listening to people in any of these industries give tips about working in their industry, examining the vendors on the exhibit floor or a mixture of all of these things. If you get tired of walking around and try to sit against a wall, chances are a volunteer will tell you to get up so as not to anger the fire marshall. So, you’ll probably need to take your break in the panel room while you wait for the panel you wish to see. This is a good time to eat so you keep your stamina — and mana — up. Cosplay is also a big thing at Comic-Con, so there are many people in costumes from various different properties and fandoms just walking by you. To summarize the experience, it’s like full-on immersion into the popular arts. Some of my Comic-Con highlights include going to the “Steven Universe” and “The Good Place” panels, getting a bunch of books signed (the “Heroine Complex” books by Sarah Kuhn and “Thrawn” by Timothy Zahn), seeing Adam Savage from MythBusters at his panel and spending time with my family. If anything sums up Comic-Con for me, it’s getting to see people I admire talk about something I like in an entertaining way, and all the panels I just mentioned fit that bill. Also, there’s nothing that says Comic-Con quite like getting in line at 6:30 a.m. on your birthday for a panel that doesn’t start until 10 a.m. but still finding yourself a couple hundred people back from the front of the line. After all these years, many things have changed but some have stayed the same. It is harder than ever to get tickets for next year’s convention, as many people try to buy tickets as soon as they’re available, usually selling out the convention in less than an hour and most of that time is spent in a virtual queue. Then there are the off-sites, which are production companies creating some kind of experience outside of the convention to promote one of their products — be it a TV show or a whole new streaming service. These events seem to multiply each year and allow some people to experience the convention without having a badge. One thing that seems to have gotten better is the overnight lines. In my years going to Comic-Con, more and more people seem to line up the day before to get into a room they want to see. This is usually for the most popular and largest room that has movie panels, known as Hall H. With lines of thousands of people spending the night without access to a shower or access to more than a handful of toilets, this naturally causes some problems. But I think the convention has figured out a new system that has made the handling of so many people slightly better and the need for overnight lines unnecessary for enjoying the overall experience. Comic-Con is something I have done with my family each year since I first experienced it. It is intense and spectacular, but it is a way for me to enjoy something I like with my parents, who also happen to like those things. It’s an insane experience we can share together and I am appreciative of them for going with me and letting me read in line while they watch to make sure it doesn’t start moving. I just hope I get lucky in the ticket lottery so I can experience Comic-Con again with them next year.